For new friends and old, and for those I never met but who touched the lives of people I care about. None of them will ever be forgotten. Just missed. 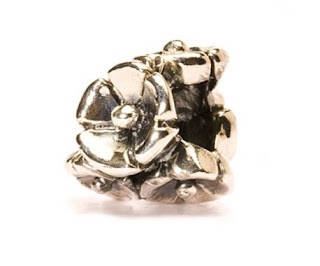 This lovely silver bead is one I have been considering since I found trollbeads back last Summer. I decided to order it today, because it marks both the second anniversary of a friend's passing and through other news I've been reflecting on people who pass through your life, sometimes very briefly, but who leave a resonance with you that stays remembered long after that time passes. To Ebay, or not to Ebay?